DAYTONA BEACH, Fla. — The No. 3 is No. 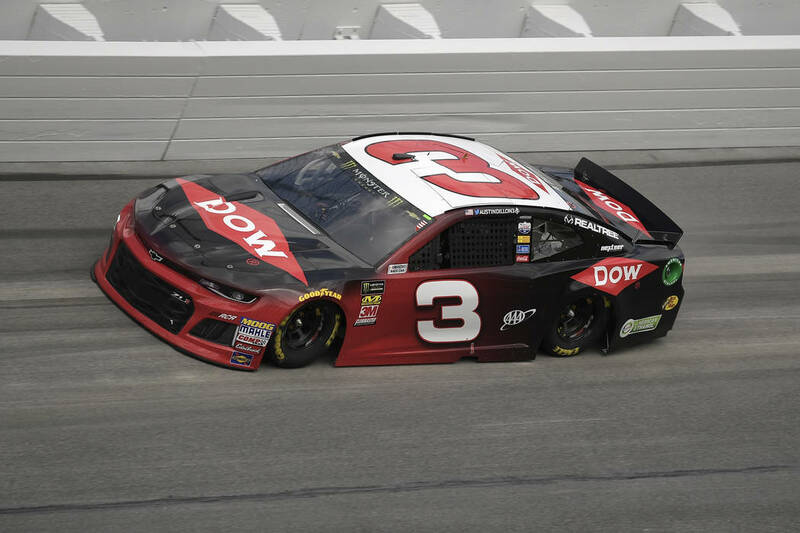 1 again at Daytona, on a day, in a race and at a place forever linked with the great Dale Earnhardt. 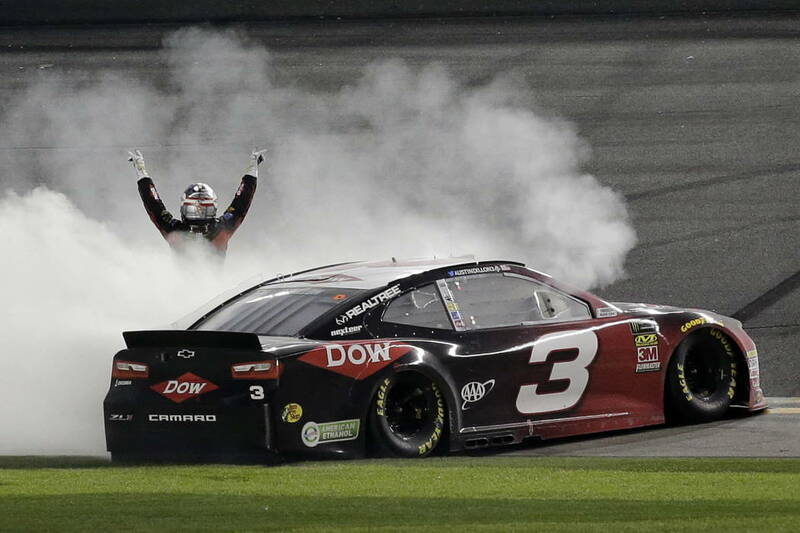 Dillon’s victory, in the 60th running of “The Great American Race ,” came 17 years to the day of Earnhardt’s fatal crash. 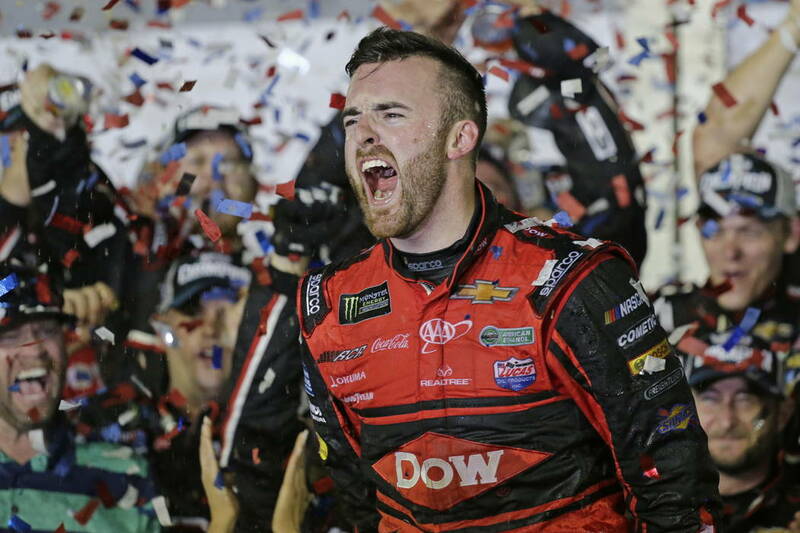 “I just, the emotions just flowing, to be able to win, with the 3 car, having it in the winner’s circle, my grandson, 20 years after Dale won in ‘98, so special,” Childress said. 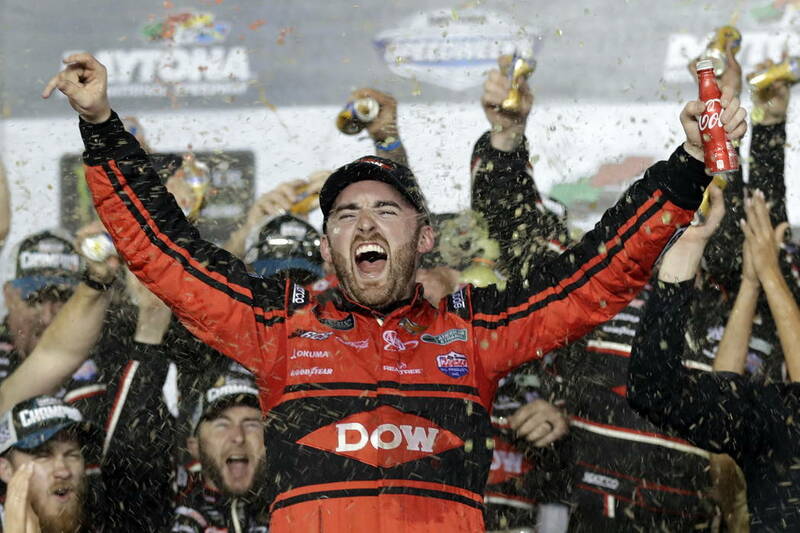 Ryan Blaney, who led a race-high 118 laps, faded to seventh after giving the win away in regulation. 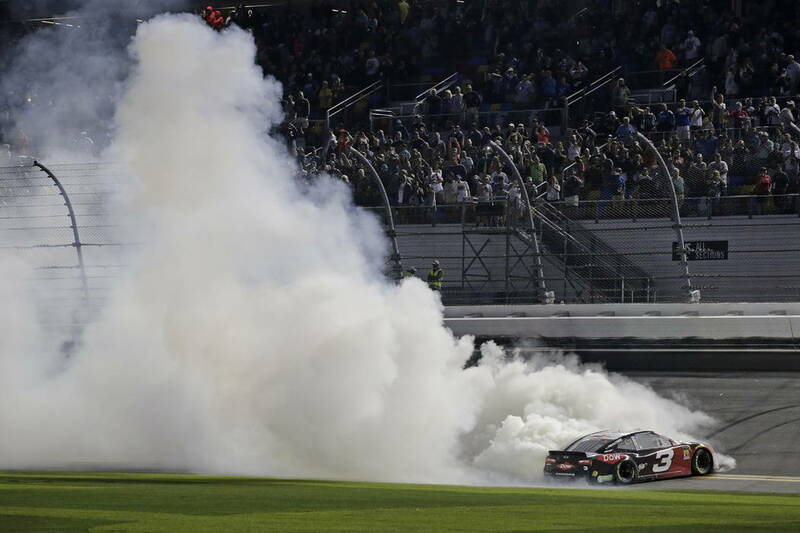 He wrecked Kurt Busch, the defending race winner, trying to reclaim his lead and the contact damaged Blaney’s Ford. 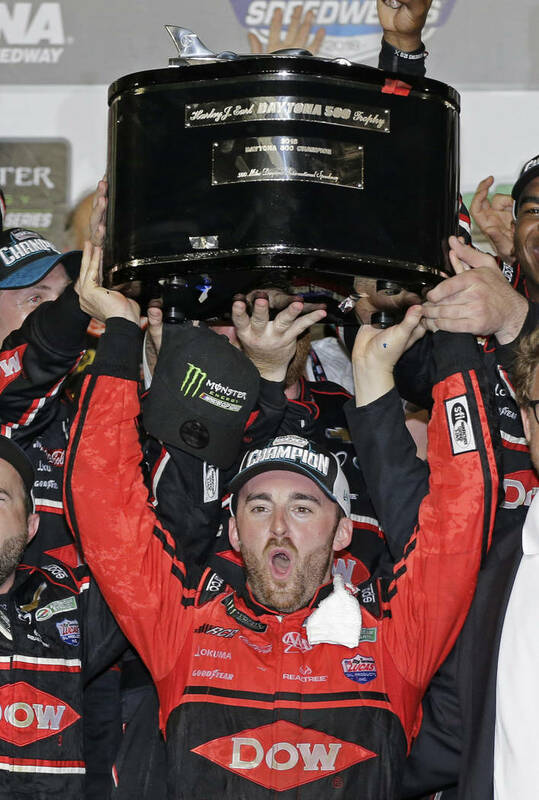 It spoiled what should have been a Team Penske party — car owner Roger Penske had three contenders, all considered favorites Sunday — but all came up empty. 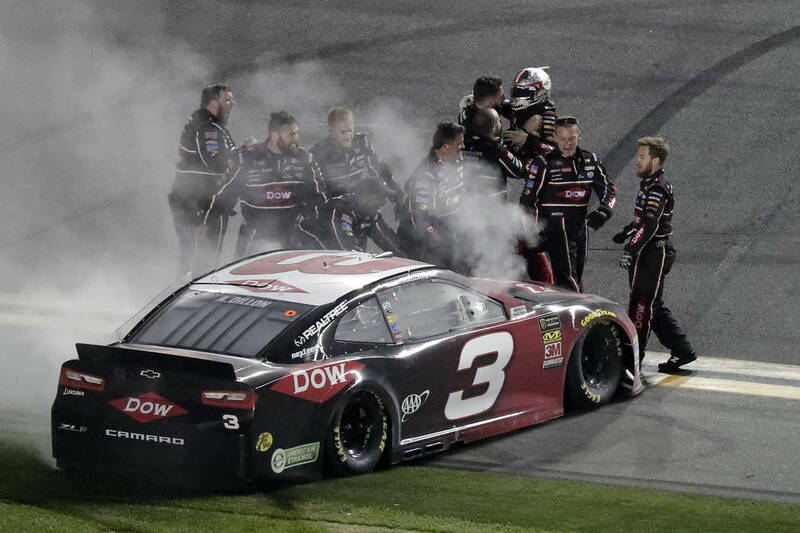 Brad Keselowski wrecked early in the race racing for the lead and although Joey Logano finished fourth, it wasn’t the victory Penske expected from one of his drivers. 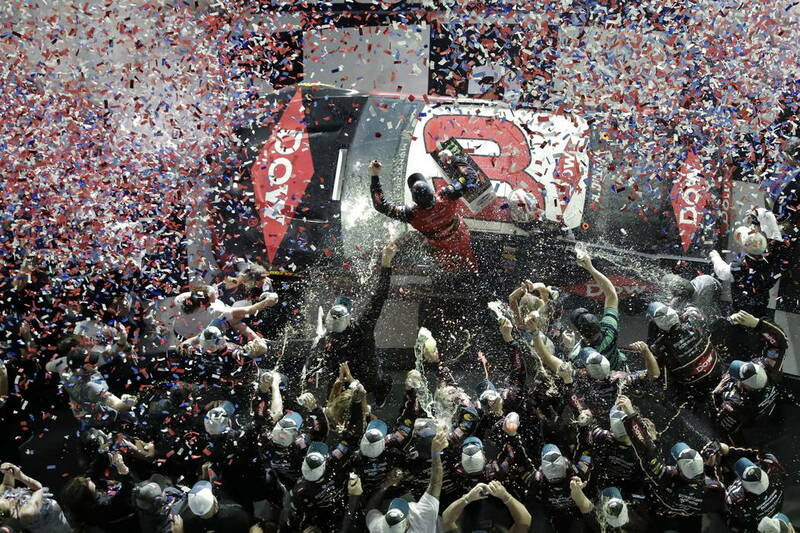 The day was also a bust for Danica Patrick, who made the Daytona 500 her final NASCAR race. 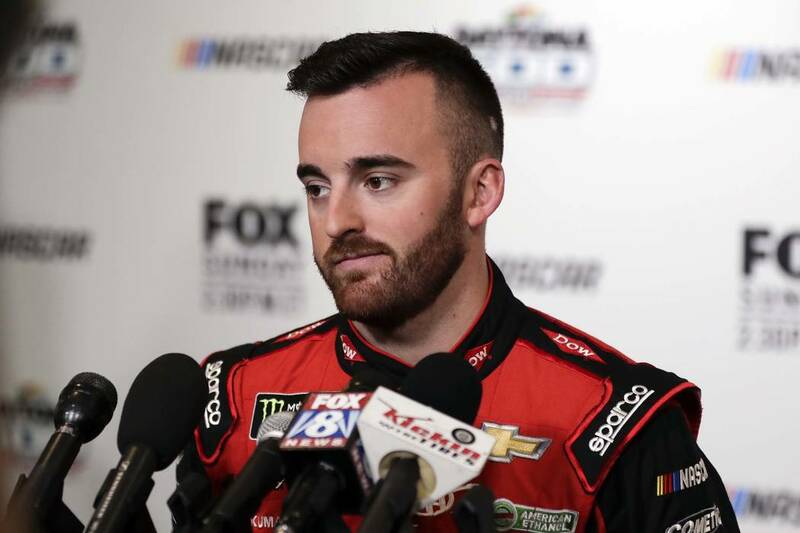 With new boyfriend NFL quarterback Aaron Rodgers cheering her on, Patrick was collected in an accident and finished 35th. The only woman to lead laps in the Daytona 500 and win the pole for this race then told a story about an exchange she had earlier this week with four-time NASCAR champion Jeff Gordon. 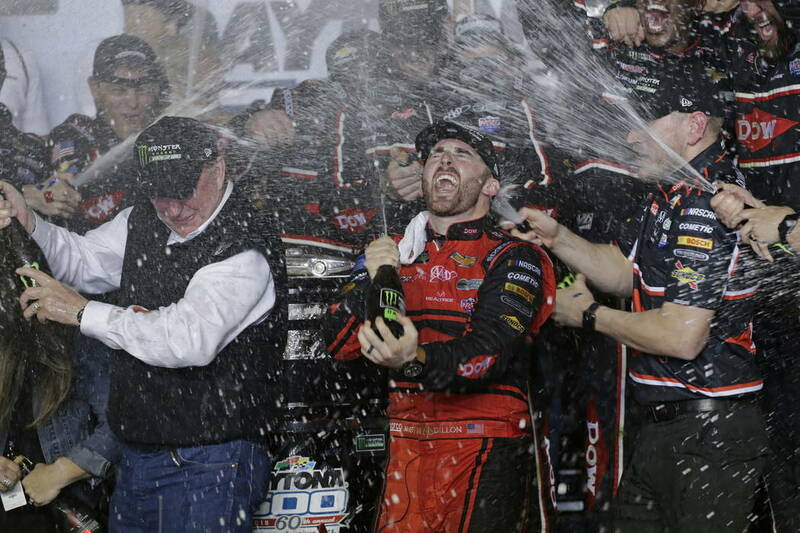 The big crash in the closing laps shuffled the running order at the Daytona 500.​ It eliminated two Las Vegas drivers who were challenging for the win, Kurt Busch and Brendan Gaughan.